Your first step towards optimising your web pages will be to find the right keywords to target. This useful tool will help you determine what kind of demand there is on a monthly basis for your product/service. Ensure you set the location to Australia and it will show you the total average searches per month for a range of keywords. 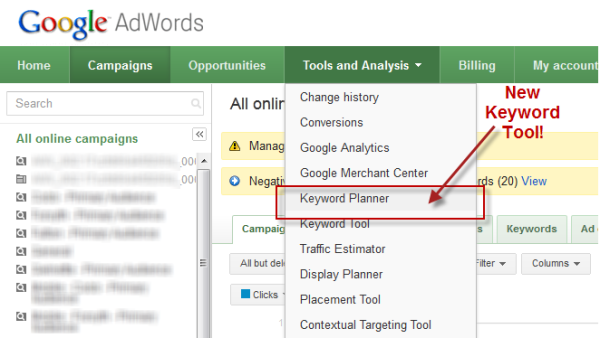 The Google Keyword Planner requires you to be logged into a Google Adwords account. For any assistance with keyword research please contact us on 02 8776 3313. We can easily show you what keywords to target and what sort of return on investment you could expect from your marketing budget.